The holidays are right around the corner and I am sooo excited! My Instagram feed has started to be flooded with incredible looking holiday treats and I am seriously thinking of starting to catalog the ones I want to make for Christmas and New Years Eve dinner. 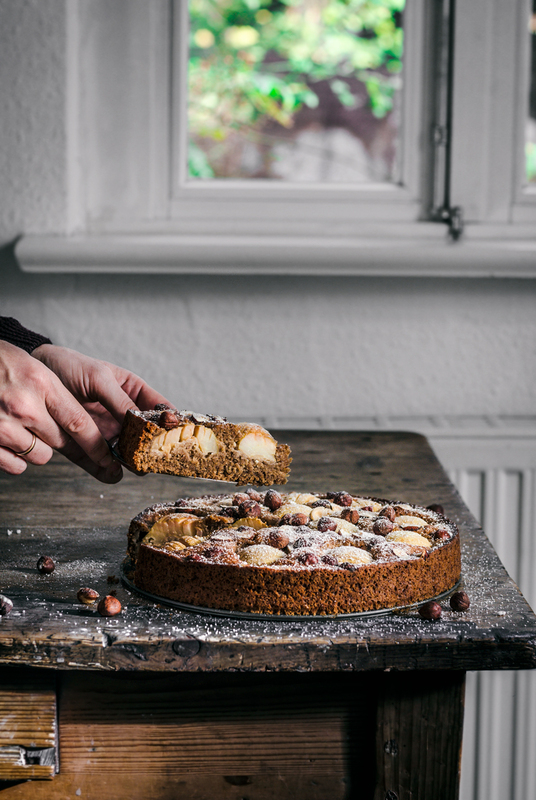 Many of Avant Garde Vegan’s recipes from his latest cookbook Vegan Christmas, including his Festive Nut Roast Wreath, his cheeses and much more! In the meantime, I am still enjoying some of fall’s most delicious produce like Brussel sprouts, squash, pomegranates, sweet potatoes and of course cranberries! I tend to buy cranberries in bulk and, if I don’t need them for a particular recipe, I simply freeze them to use throughout the winter. As you may know by now, I am a lover of all things sugar free. I regularly transform some of my favorite recipes and sweeten them solely with dates, date sugar or maple syrup - sometimes with success & other times with not so much success. This cranberry sauce was a success! In the past, I used to make it the traditional way (with white sugar or lots of maple syrup), but recently decided to challenge myself and make it with as little maple syrup as possible and adding some applesauce instead. I like using this sauce in wraps, sandwiches, tacos, in dressings and simply enjoying it as a condiment the same way I would eat ketchup and mustard - I tried eating it with stuffing I made for a client: out of this world! Anyways, just like any sauce, the possibilities are endless with this cranberry sauce. If you decide to make it, feel free to share it on social media and tag me @muriellebanackissa. Add cranberries, applesauce and water to a small saucepan and heat over high heat. When it starts boiling, reduce heat to medium low and simmer for 15 minutes or until the cranberries are soft, mixing every 5 minutes or so. Add pepper and maple syrup to taste. Remove from heat and let cool before transferring to a jar. Keep in the fridge for up to two weeks.